A varietal is one straight coffee. We use only the best Arabica varietals available. Our Full City roast is our lighter roast and our French Roast our darker. If the degrees of darkness were on a scale from grocery store coffee being the lightest and Starbuck’s the darkest our roasts would fall just right of center. This varietal is often described as the most balanced bean. It has a nice smooth taste with a full cup flavor. This varietal has a bright, clean taste. It stands up well alone or blended with other coffees. Bright, rich and sweet with a hint of black berry. One of our favorites. Full-bodied, deep and earthy. 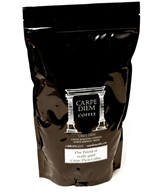 Stands well alone but add a deepness when blended with other coffees.